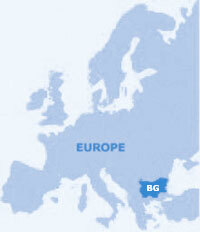 How to come to Bulgaria? There are 3 main airports - Sofia, Varna and Bourgas. Sofia airport is operating all year round and serves many regular destinations to/from most European big airports. Varna and Burgas airports are operating mostly from May to October because of the big touristic flow to Black Sea resorts. Wizzair offers low-cost flights from most European cities to Bulgaria if you book in advance.